The time is here! I can't believe it, but this is the official announcement for my call for beta readers! I honestly didn't expect to be ready for extra eyes this early in the process but I am! So make sure to get your name in the running! After much consideration, and years of hiding, I have finally decided to share my story with the world. Originally, I thought it'd be in a "Tell-All Memoir" style format, but what came out of me was much, much different. Instead of taking the usual memoir approach, my story came out in the form of brutally honest free-verse poetry. With that being said, my story is not for the faint-hearted. There are over 170 pages covering topics spanning from abuse, to depression, to self-love, and everything in between. And while I compare my story to that of Amanda Lovelace and Rupi Kaur, it is unlike anything either of us has ever read before! At a whopping seven thousand words, my poetry memoir is divided into three different sections: My Story, My Pain, & My Future. Through each of my poems, and my book as a whole, I truly hope that my readers will be able to relate to my story. If not by the circumstances within it, but by the emotions that the poems bring out. I would never wish my past on anyone, but I am grateful for the person that it has made me. I only hope that my readers see that too! First and foremost, I should probably explain what a "Beta Reader" is! Among basic definitions, a beta reader is someone that receives an early manuscript (unfinished) in order to give the author suggestions about various pieces of their writing. In my case, I'm looking for a few different things in a beta reader. Ideally, I'd like a reader that enjoys reading poetry for fun and is excited to read something new! Additionally, I want to get the opinions of other beta readers to see what the word is about my book! I don't need a traditional review, but I'd love to hear your thoughts on the work as a whole, as well as receive answers to specific questions that I have. Mainly though, I just want a general census on the book and an extra set of eyes! All work copyrighted by Ivy Cirillo will remain private. Applicant will read the manuscript within a timely manner. Applicant will fill out the "Beta Reader Worksheet" that will be provided to them. Applicant will provide honest suggestions about the manuscript, the individual poems, the poem titles, the book formatting, and more. Applicant will return worksheet and feedback to the author in a timely manner. Unfortunately, there will not be any type of compensation for this beta reading position. Although I wish it weren't the case, I do not have the funds to hire beta readers at this time. However, there will be special mention of any exceptional beta readers in my memoir's acknowledgments section :) And who knows, you might get picked up for my next book too! Ivy Cirillo is the copyright holder for the previously mentioned poetry memoir. Any pieces of the manuscript or book are her own work. 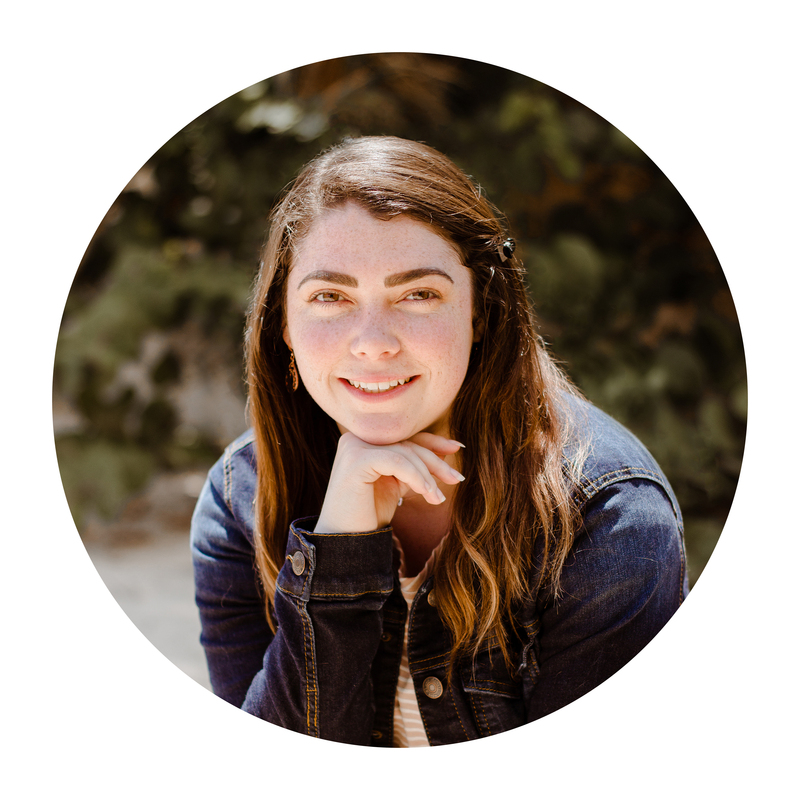 Potential beta readers and readers in general do not retain the rights to any of the work that Ivy Cirillo shares with them. Under no circumstances can anyone copy, plagiarize, or publicize a piece of Ivy Cirillo's work without her approval. 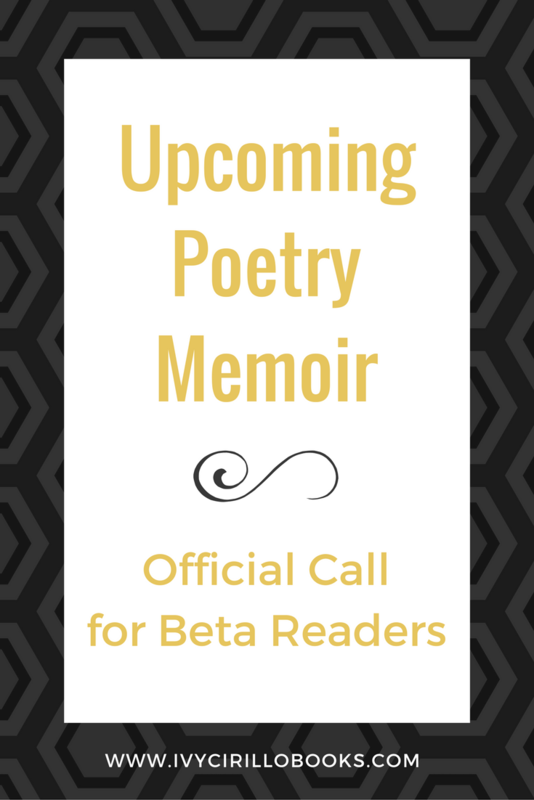 In order to apply, please email ivycirillobooks@gmail.com with the subject labeled "Poetry Memoir - Beta." Make sure to include your name, a little bit about yourself, why you think you'd be a good beta reader for this project, and an estimated time to complete this beta reading. In case we missed something, or you have additional questions, feel free to contact us today! If you're interested in this project, but don't want to act as a beta reader, that's ok too! There are lots of other ways that you can help support this new book! If you happen to know of someone that you think would be interested in beta reading, please share this post with them! Join the Ivy Cirillo Books Newsletter! Sign up for our latest content, projects, and coupon codes! Hi, my name is Ivy! I'm an avid reader and an emerging author. I've always been drawn to the young adult genre and I've decided to try my hand at writing my own novel or five!